Why has the U.S.-led force failed to build a self-sustainable Afghanistan? On September 11, 2001, when students at Kabul University learned that planes hijacked by al-Qaeda had struck the World Trade Center and the Pentagon, they rushed to tell their instructor, a mullah from the government-run Wazir Akbar Khan mosque. Unlike his Taliban peers, the mullah freely engaged students on controversial topics, such as the explosive fate of the Buddha statues in Bamiyan. But despite the news, the mullah seemed calm, as though nothing important had happened. Two weeks later, after U.S. President George W. Bush declared a “War on Terror,” the mullah’s reaction changed. He pleaded with students to pray for the Islamic government. Just days later, the U.S.-led military campaign in Afghanistan began with bombings of al-Qaeda strongholds and Taliban military bases throughout the country. Though by and large, Afghans were not happy with the American invasion, with many fleeing cities for fear of being bombed, they were upbeat and hopeful, especially the younger generation who had lived through the atrocities of the Civil War and the Taliban. But nearly 14 years later, quality of life has improved only marginally, especially given the scale of America’s investments, both monetary and military. Why haven’t billions of dollars in aid paved the way for a self-reliant Afghanistan? 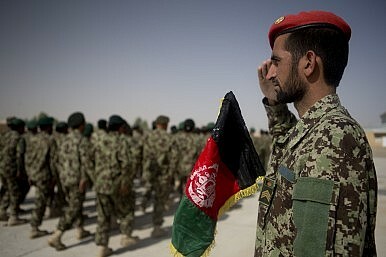 After the Taliban government fell, mega-sized construction projects, such as the Kabul-Kandahar road, renovations of government buildings, and the refurbishment of military and police offices, became the norm. In reality, the flurry of activity favored form over function, accomplishing very little. The military, private companies, and contractors spent most of the billions promised to rebuild Afghanistan. Foreign troops were the focus for nearly every dollar of aid. The United States tried to finish projects at the speed of light, regardless of quality and effectiveness. The NATO-assembled coalition selected “experts” from around the world to consult on aid projects, mostly from the ranks of middle-managers and the unemployed. Their only expertise: the ability to speak English. To get taxpayers on board with the campaign, the coalition countries invested in superficial projects irrelevant to post-war Afghanistan. The United States spent lavishly on stationary, seminars, meetings, bottled water, and leisure trips for mediocre Afghan officials who dined, drank, and gambled with some of the money allocated for aid. No one ever interrogated contractors, subcontractors, and government officials about the money. Relatively well-educated Afghans have bemoaned rampant corruption, with many abandoning government jobs to work with the United Nations, and a smattering of NGOs. That has allowed less-educated, corrupt officials to solidify their positions in government. Furthermore, the United States paid no attention to the growth of research centers, or affiliations between Afghan universities and research institutions with their Western counterparts, which spent funds on unnecessary trips and equipment. Despite that collaboration, only a handful of scholarships offer young Afghans the opportunity to pursue higher education in the West. The scale of these failures is immense; too much to address in one column. I hope that Afghanistan’s new government and the international community will learn from their mistakes, drawing clear lines for a more effective partnership. That would be a service to foreign taxpayers, who have invested billions to rebuild Afghanistan. Mohammad Tanha is a Ph.D. researcher at Leibniz University of Hanover. He is the former Director of Nuclear Technology for the Afghan Atomic Energy High Commission.